As our regular readers will be well aware, there have been a number of published papers suggesting associations between the use of statins and other lipid-lowering agents and risk for diagnosis with and progression of prostate cancer over time. Based on the data below, it would appear that the use of a lipid-lowering agent for anything less than 10 years is unlikely to be able to actually prevent or delay a diagnosis of incident prostate cancer. The ARIC study initially enrolled a total of 15,792 men and women aged between 45 and 64 years from four U.S. communities between 1987 and 1989 (visit 1). These patients were then all followed in a series of four additional study visits in 1990–1992 (visit 2), 1993–1995 (visit 3), 1996–1998 (visit 4), and 2011–2013 (visit 5). For the purposes of the current data analysis, the authors focused on a group of 6,518 men, all without cancer in 1990-1992, i.e., at study visit 2 (at the start of the statin era) and who self-identified as either white or black. These patients were followed for prostate cancer incidence and death through 2012. It is important to note that by visit 4 (in 1996–1998), 76 percent of all lipid-lowering agents being used in the US were statins, and by 2011 this had increased to 85 percent. Current use of a statin was also not associated with incident prostate cancer (HR = 1.03). Shorter-term use of any lipid-lowering agent (< 10 years) was not associated with risk of incident prostate cancer. Shorter-term use of a statin (< 10 years) was not associated with reduction of risk of incident prostate cancer (HR = 1.07). Long-term use of a statin (≥ 10 years) was associated with a reduction in risk of incident prostate cancer, but the association was not statistically signiﬁcant (HR = 0.78). Current use of a statin was also associated with a borderline statistically significant reduction in risk for fatal prostate cancer (HR = 0.65). In this prospective study of black and white men with long follow-up in the statin drug era, we found that long term use of lipid-lowering medications was associated with a lower risk of developing prostate cancer, and that current use appeared to be associated with a lower risk of fatal prostate cancer among men without the diagnosis at the start of follow up. 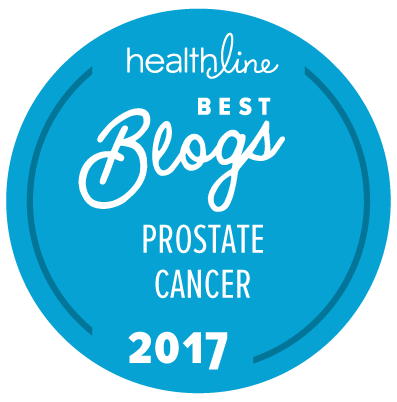 The current moral to this story would therefore seem to be that the men who are most likely to benefit from the effects of lipid lowering on prostate cancer-associated risk are those men who have been taking lipid-lowering agents for 10 or more years. However, there are all sorts of limitations (as usual) associated with this study because the number of men who actually died of prostate cancer over the 25 years of follow-up was just 90 out of the 6,518 who were enrolled (i.e., just 1.4 percent). One of the implications of this is that to conduct a really well-designed, randomized clinical trial of the use of a statin in the prevention of clinically significant prostate cancer, we would probably have to enroll something of the order of 25,000 to 40,000 men and follow them for as much 25 years. The cost implications of such a study are considerable — however much we might like to see such a study conducted. On the other hand, the issue of whether the immediate initiation of statin therapy in men diagnosed with clinically significant prostate cancer (regardless of what other forms of therapy the patients might need or choose to have over time) might be much more amenable to a randomized clinical trial. In this case the trial endpoint could be the evident onset of metastatic disease. Similarly, it might also not be so difficult to examine the question of whether immediate initiation of statin therapy in men on active surveillance might be able to delay time to the need for definitive therapy, because the necessary follow-up time might be more like 5 or 10 years. Editorial note: The “New” Prostate Cancer InfoLink thanks Alison M. Mondul, PhD, MSPH, of the University of Michigan for providing us with a full-text copy of this article for our review. By this point in the study it could be inferred that black men had a nearly 50% reduction in the need for statins. Probably not true. More likely black men were only given statins when having much higher test levels. As black men are at a higher risk of prostate cancer, are there any insights in the later years of the study from a black/white angle or from the initial high/low statin levels? 1. Perhaps the lipid lowering properties of statins are not always the mechanism of action of interest. 2. Perhaps the particular statin is important. As a prostate cancer survivor and an animal physiologist I follow laboratory as well as clinical studies, and thought the following might be of interest. Back in 2016 Fan et al. found that the overexpression of MACC-1 (metastasis-associated in colon cancer-1) and c-Met were correlated with Gleason score, PSA, and TNM stage. MACC-1 is a driver and prognostic biomarker for cancer progression and metastasis in a number of solid tumor types. Subsequently, Junejal et al. (2017) showed that, in CRC-xenografted mice, lovastatin emerged as one of the two most potent inhibitors of MACC-1 transcription and liver metastasis. There may indeed be a long gap between the laboratory and the clinic but it provides food for thought. Although this study is more comprehensive than some of its predecessor studies, it is still far too small to have been able to explain (for example) why the black patients had lower use of statins than the white ones, let alone whether any particular statin might be more effective (or safer) than any other. According to one statement in the paper, “a recent analysis of nationally representative data in the United States concluded that, among individuals with coronary heart disease, black men are approximately half as likely as white men to take a statin”. My personal suspicion is that this would have likely have more to do with socioeconomic factors (i.e., access to care and costs of care) than anything else.